This is a square Continental Fire Insurance Co porcelain sign. This particular Continental Fire Insurance Co sign is predominantly white with black text. 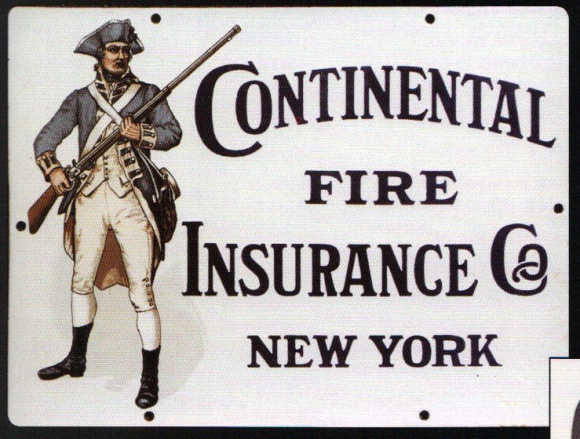 It reads, “Continental Fire Insurance Co New York” and features a Revolutionary War soldier along the left side of the sign.